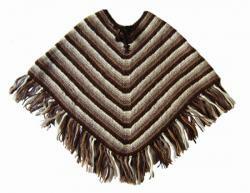 Directly from Mother Earth & Spirit of the Andes to you! 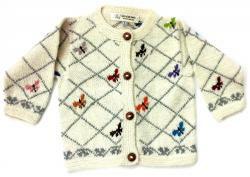 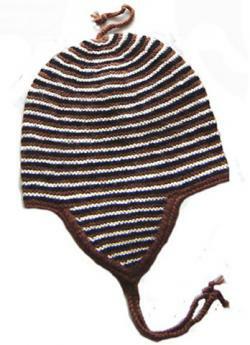 Our NATURAL ALPACA clothing line features garments that are hand knit using 100% natural fibers. 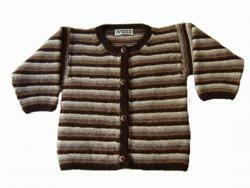 The colors are pure; we use no dyes, no chemicals and no detergents making our NATURAL ALPACA line the most natural clothing for you and your child! 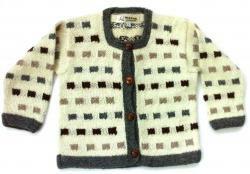 If you would like to order an adult NATURAL ALPACA sweater, please contact us for a quote and to choose your colors.